Scheduled maintenance and server upgrades are scheduled to begin on Saturday October 21st at 1:00 AM EST. We expect the application to be unavailable for a period of 10-15 minutes. 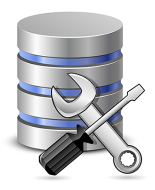 Database upgrades and maintenance are scheduled to begin on Sunday September 3rd at 1:00 AM EST. We expect the application to be fully operational within 30 to 90 minutes. Enhancements to the server side copy paste functions. Improvements to the default formatting for permit applications. Automated synchronization of Ad-Hoc report databases. Improvements to ESRI GIS integration and how locations are saved. Server upgrades are scheduled to begin on Friday October 2nd at 12:00 AM EST. We will be deploying new features and system upgrades. We expect the application to be fully operational within thirty minutes.